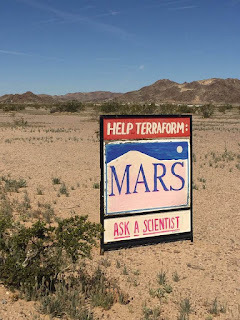 Wonder Valley, CA: Help terraform Mars. Thanks to Wonder Valley resident George Heen who discovered and photographed this sign, done in the style of local real estate agencies. 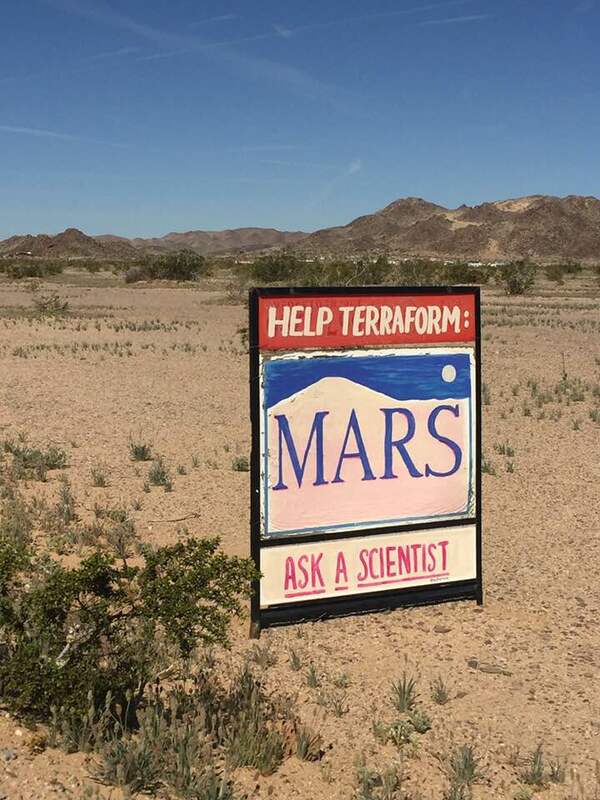 "HELP TERRAFORM: MARS. ASK A SCIENTIST." This won't seem so funny in a couple of months.